Forty-three years ago to the day, humans left the surface of the Moon for the last time. Everyone remembers Neil Armstrong’s one small step. Far fewer can call to mind Eugene Cernan, who left mankind’s final footprint in the lunar dust. But far from defending his title as the last lunar explorer, Cernan argues strongly for a return to our closest celestial neighbor. "We've got to go back to the Moon," he urged a crowd gathered in Chicago last night to commemorate the anniversary of humanity’s final moonwalk. The Adler Planetarium hosted a private screening of The Last Man on the Moon, a new documentary about Cernan’s life and time in the space program. 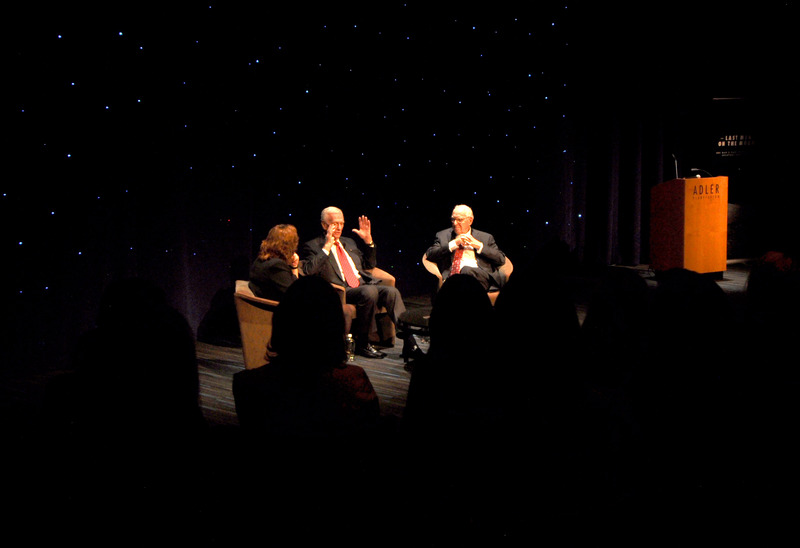 Cernan and Jim Lovell, a fellow Apollo astronaut, were present to answer questions and talk about the importance of manned space flight, both to their personal experiences and what it means for all their fellow humans. "We've got to explore this research," Cernan continued. "We've got to learn to live long-duration on the Moon. We've got to learn to do things we don't even know we have to learn about yet. It's a little disappointing we haven't really focused in that direction. We talk about landing on meteorites or whatever," he dismissed the Asteroid Redirect mission, NASA's next step in human space exploration. "But we don't have a goal. We don't have a program. We don't have a mission ... We do a lot of talking, but there's not a lot of doing." In the years since Cernan’s 1972 moonwalk, NASA hasn't sat idly. It flew the Space Shuttle and helped construct the International Space Station. It launched the Hubble and Spitzer space telescopes, among many others, revolutionizing our pictures and our understanding of the cosmos. And it sent probes — landers and orbiters and fly-bys — across the solar system, exploring mighty Jupiter, space rocks only a few miles across, and everything in between. Humans have not set foot on another world since Cernan lifted his boot for the last time. And according to NASA’s plan, our next footsteps will be on an asteroid that will be harnessed and dragged to Earth orbit like a wild mustang tamed for riding. 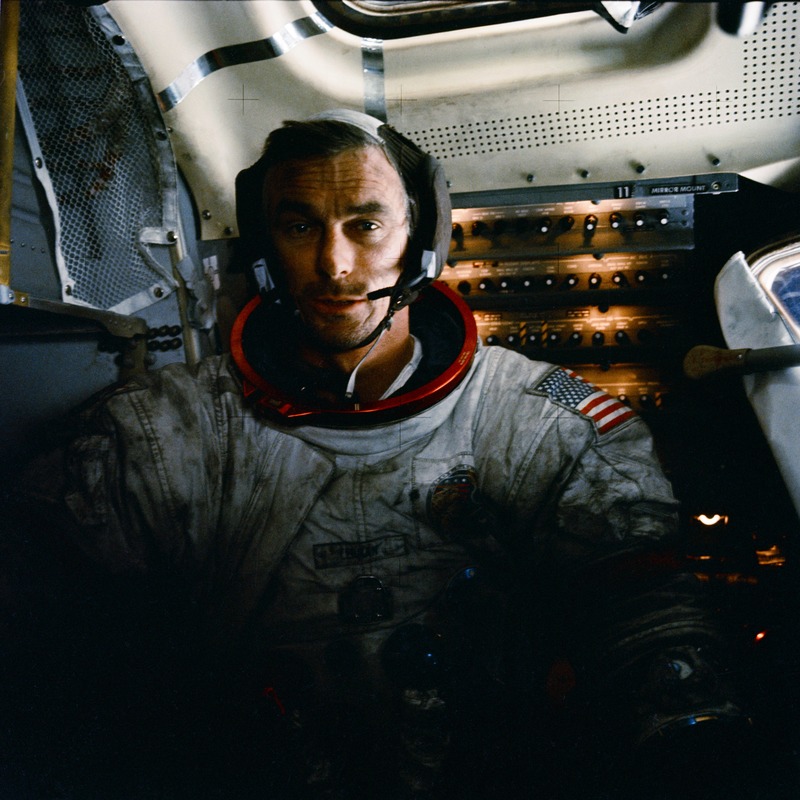 Cernan, who was a Navy fighter pilot before he joined the fledgling space program that killed three of his astronaut brothers in a fire and also swept the whole country into a space frenzy, made clear his frustration about this tame mission. Even NASA’s Journey to Mars plan won’t see humans on the Red Planet until the 2030s, itself a vague date and objective that lacks the drive, daring, and commitment of the original space program. The next crop of astronauts will, NASA administrator Charles Bolden claimed today, "blaze the trail on our journey to the Red Planet." But they will never actually set foot there. They will venture only as far as Earth orbit, a trail blazed already by Cernan and men who came before even him. "The children and grandchildren who stand up," Cernan clarified, and not today's candidates, will be the next ones to actually stride a neighboring world. After more than 40 years, we still have decades before humans will explore any new world. And the administration has no plans to return people to the Moon at all. There is a strong case to be made that probes and robotic missions can perform all the science duties of a manned mission with far less cost and risk. This argument is valid and scientifically accurate. Listening to Cernan speak, you understand that as proud as he is of his lunar footsteps, “last man on the Moon” is a title he would be happy to pass on. And he was not without a message of hope, especially for the young people in the crowd, urging them to do their own exploration, wherever it might take them. So as we look back to the last time humans set foot on a world beyond Earth, let’s also remember to keep looking and pushing forward. We might surprise ourselves. The Last Man on the Moon will be released in theaters and on video on demand services on February 26.